It’s time to put soul into solo mamahood! In the United Kingdom, about 1 out of 4 families with dependent children are single-parent families? That’s around two million single parents! And less than two per cent of single parents are teenagers. Many women become single parents following the loss of their partner in divorce, death, domestic abuse, relationship breakdown, etc. Yet, the stereotype exists, that most single mums are teenagers, scrounging the state on benefits, little or no qualifications, getting pregnant, just to get a council flat. I am on purpose to change this narrative with The Solo & Soulful Mamas platform. It’s time to change the narrative of the single mama! It’s time to celebrate single mums. Parenting alone is even harder. Parenting alone and trying to succeed in other areas is much harder. Yet, many women are doing it. Many single mums are shattering glass ceilings to achieve and make a difference in the world. I am one of them. Unique as I believe I am, I am not alone! I know so many women like me and feel very honoured to have them as role models. Solo and soulful mamas that teachers, lawyers, doctors, professors, business owners and even a few dames too. I want you to meet them. I want you to hear their stories and be inspired to make the best of your situation. Yes, you are a single mum. But I don’t want you to settle. I want you to be the best single mum you can be. I want you to inject some soul into being solo. I know how important it is to feel inspired and get the right support. I have supported thousands of women from pre-conception, through pregnancy, labour and childbirth, the postnatal period, toddlerhood and beyond. I have enabled women to be the best mothers they could be and feel so privileged to have supported them in their parenting journey. My hope is that their stories inspire you to pursue and achieve your dreams. 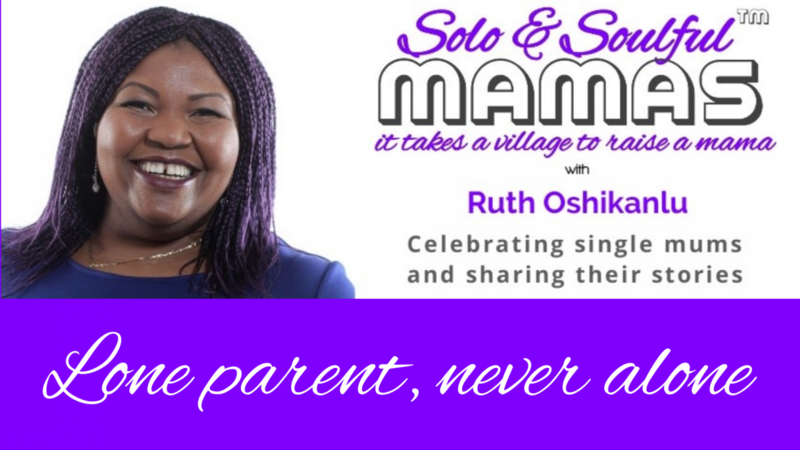 I’m Ruth Oshikanlu, award-winning pregnancy mindset expert and parenting coach. A nurse, midwife and health visitor for over 24 years, and a soulful single mama for over 13 years. Author of Tune In To Your Baby: Because Babies Don’t Come with An Instruction Manual and founder of The Village for Mamas. Tune in to our weekly interviews designed to inspire and empower single mums that are parenting with soul. Solo and Soulful Mamas Powered by WordPress.com.